I'm reading an AWESOME book by James Clear called Atomic Habits. I heard about it from a teacher I follow named Colby Sharp. Colby organized a teacher book club to read it and I am blown away. I'm not even halfway through the book but it is flagged and highlighted within an inch of it's life. Atomic Habits are the small things that you do every day that add up to have a big impact in your life. 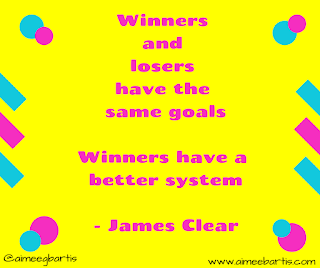 In the first chapter Mr. Clear writes about focusing on creating systems instead of setting goals. "Goals are about the results you want to achieve. 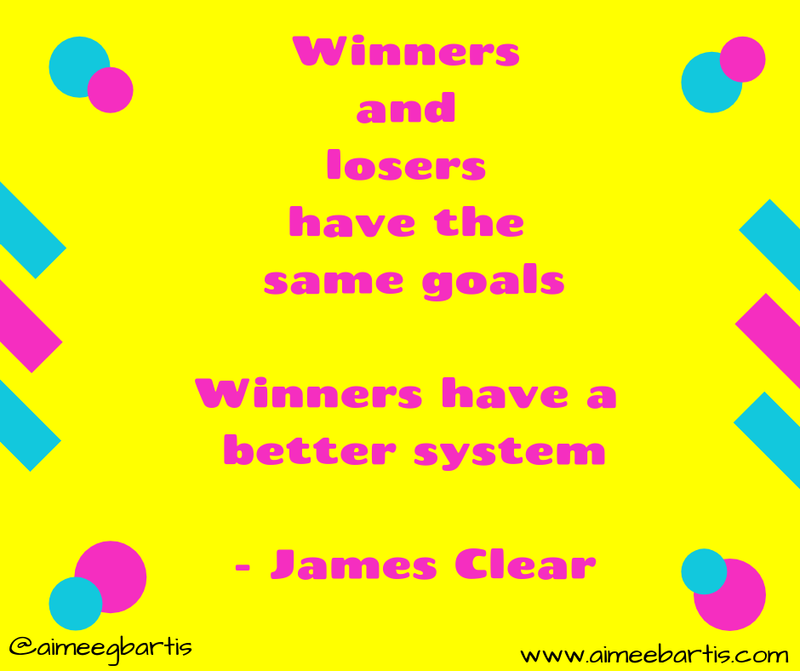 Systems are about the processes that lead to those results." He goes on to describe 4 problems with setting goals. The first problem blew my mind. Wow! Why had I not thought of this before? Both teams want to win the game but one of them has done more to reach that goal. They've implemented systems to insure they are successful. Do like to have goals but I've realized I'm actually a systems girl. I like to make a plan. I love my paper planner. Each week I try to plan out as much of my life as I can. I write down what days I'm going to work out, what days I'm going to write and all the boys' activities. And I love to track my progress. I also try to help the boys implement systems to help them meet their goals. In the Fall, Zac was struggling with an assignment in English. He has to say a certain number of vocabulary words each grading period. The first grading period he forgot. The second grading period we made a plan - a system. And that's made all the difference. 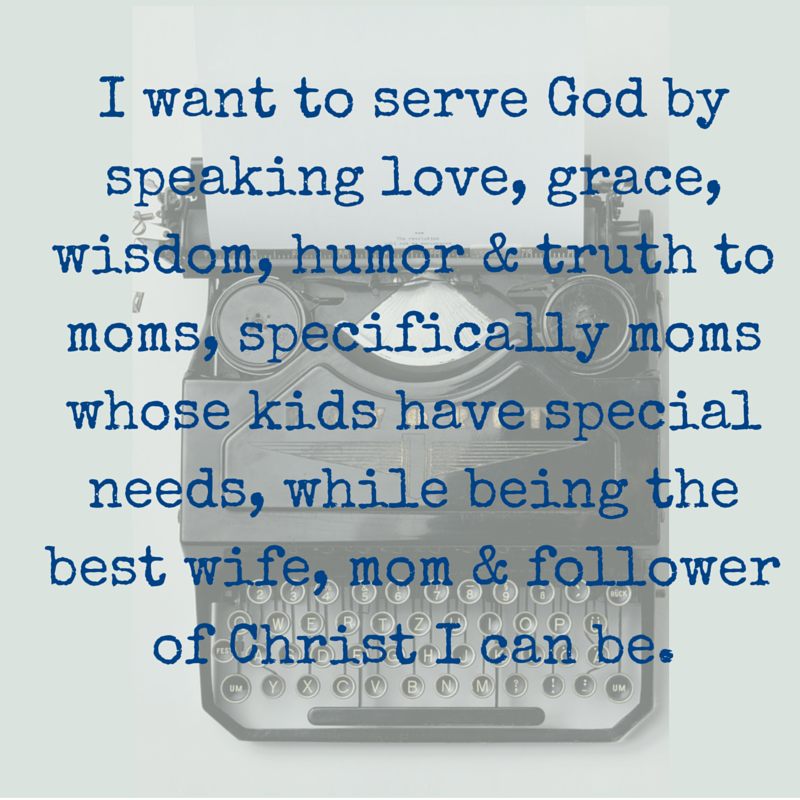 I believe that one of our responsibilities as parents - to help our kids meet their goals. To help them set up systems to achieve their goals. I just hadn't been calling it a system, I'd been calling it plan.